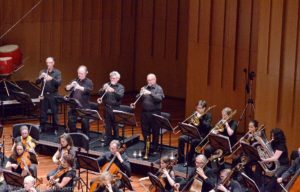 NCO rehearsals are held at the Ainslie Arts Centre, Elouera Street, Braddon, (between Elder and Donaldson Streets) on Monday nights from 7:30pm to 10pm. Occasionally rehearsals will be held at a different venue, that will be advised. As we need to set up the hall for each rehearsal, it would be appreciated if members could be there by 7:15 pm. Enter the hall from the car park at the rear of the building. The car park entrance is on Elder Street. Cellists, please bring a spike protector or donut to protect the floor. You will need to bring a music stand and a mug for coffee/tea (gold coin for drink plus biscuit/chocolate). There is usually an extra rehearsal on the Friday evening in the week of a concert. The orchestra uses an email distribution list to advise of changes to rehearsals and other relevant information. 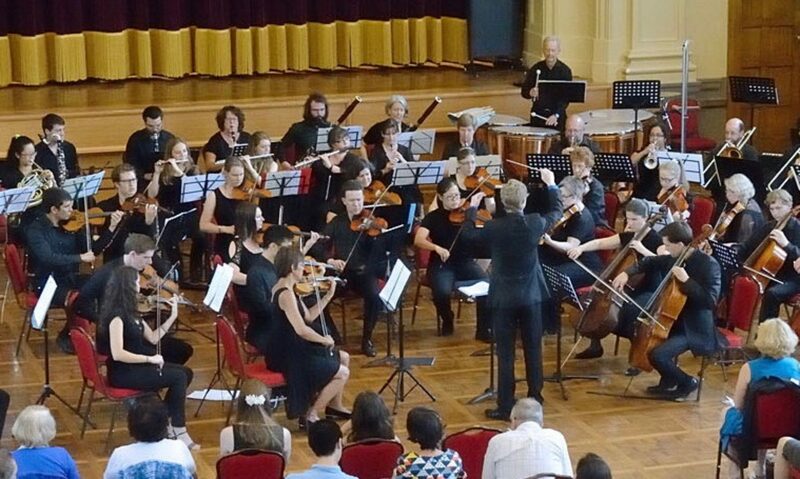 On joining NCO, please send an email with your name, phone number, instrument name and preferred email address to ncorchestra@yahoo.com.au. Alternatively please see Martin (cello) at any rehearsal and give him your details. Concert dress is all black unless otherwise advised. The current NCO committee was elected at the last AGM that was held on 29th October 2018. General committee members: Steven Strach (timpani), Nichola Worrall (violin), Lis Hoorweg (clarinet), Suzanna Powell (viola). You can contact any member of the committee if you have any general issues you would like to discuss. The fees for 2019 are $200 per year ($180 if paid before 1 March 2019), or $75 per concert, with corresponding concession amounts of $100($90) for the year and $35 per concert for full time students, pensioners and seniors. The preferred payment method is by direct deposit into the NCO bank account (contact the Treasurer treasurer@nco.org.au for account details). Alternatively you can pay by cash or cheque to the Treasurer (Airlie) at rehearsal. You may play in rehearsals without becoming a financial member, but you will need to be a financial member in order to borrow music, play in concerts or vote in the AGM. Librarian Iain Hercus (horn) is in charge of hiring and distribution of printed music. You need to be a financial member of the orchestra in order to borrow music. Free practice copies can often be printed out from the website www.imlsp.org. When you borrow music, you must sign for it on the sheets provided. After each concert please place all music into the returns box (if you can’t see a box, ask Iain). If you sign out music for a concert, but are subsequently unable to play, please return the music at the next possible rehearsal or email Iain librarian@nco.org.au to arrange its return. There are hefty fines (around $100 per part) payable if hired music is not returned on time, so please do not borrow music unless you can take responsibility for its timely return.